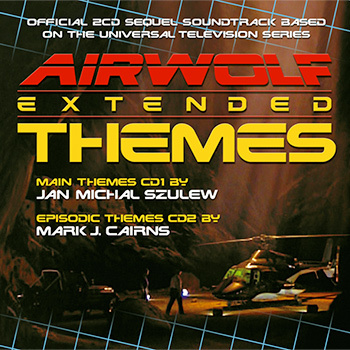 Note that MP3's will be available at a later date, and you can still buy MP3's for the original 1999 Airwolf Themes Double CD re-released in 2007. Some pictures ive never seen before, and some alternate photos that are close to ones i have seen, yet not the same. Lot of information in the book. At this stage in the review i only have 1 disappointment so far really.. and that is both cd's ber the same artwork on the back of the disc, i would of expected Mark to be on a disk its self maybe on the left, and jan on his disk on the right with maybe half an airwolf on each..
and then some more once ive heard it..
That bass at 3.23 to 3.28 F*CK ME AND WOW!!! It's that glint in his eye, that whole... will he.. wont he.. he wants to.. but should he.. fk it.. dom gimi a hell fire..
forgive me i need to go listen to "MIND OF THE MACHINE" AGAIN!! well its EPIC AS HELL i am seriously blown away... BIG TIME!! !